Twine on bobbins, or in hanks is prepared. Twines are also wound onto bobbins using a bobbin winding machine. Loaded bobbins are placed in a box carrier. Finished netting is inspected for faults on the inspection table. 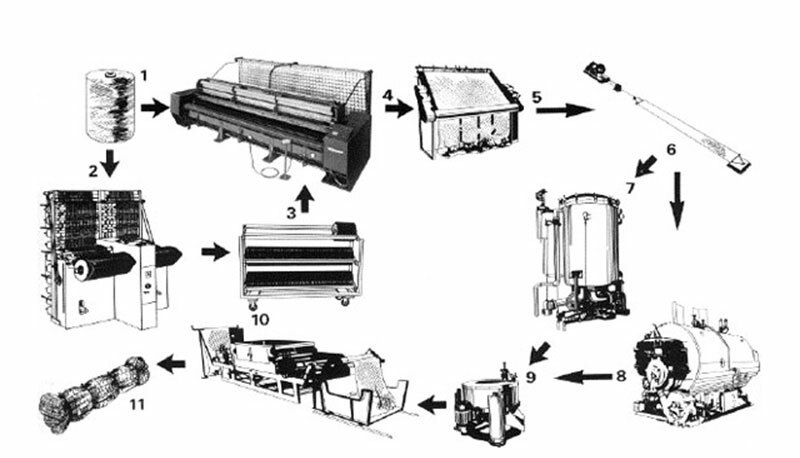 Dyeing machine (required for dyed netting only). A boiler may be used in conjunction with the dyeing machine. Centrifugal separator (required for dyed netting only). 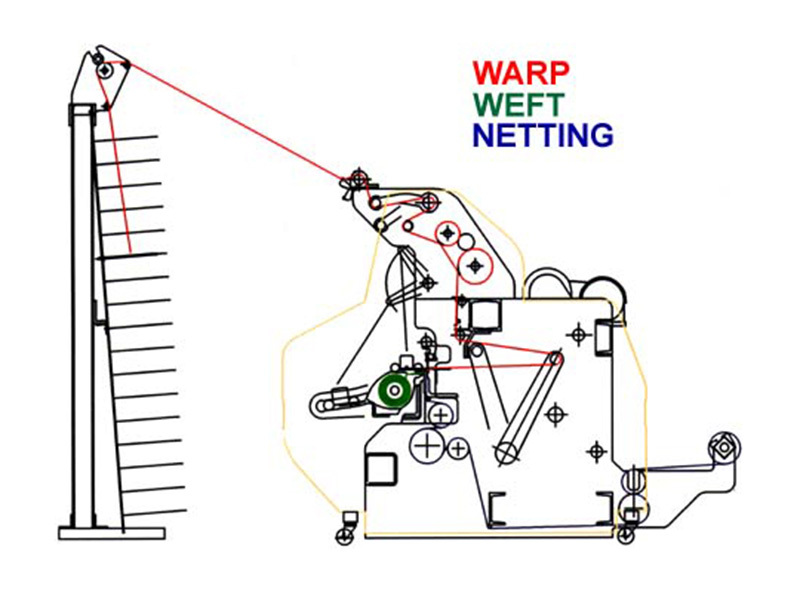 The side-view of the net machine illustrates the net making process. Twine is drawn from the creel into the net machine as indicated by the red line. This twine coming from the creel is called warp twine. Bobbins are placed in the shuttles of the machine. Twine loaded on the bobbins serves as weft twine, and is indicated by the green line. The warp twine and weft twine are knit together to make netting, blue line. This netting is automatically conveyed to the back of the machine to be wound on the net winding roll.